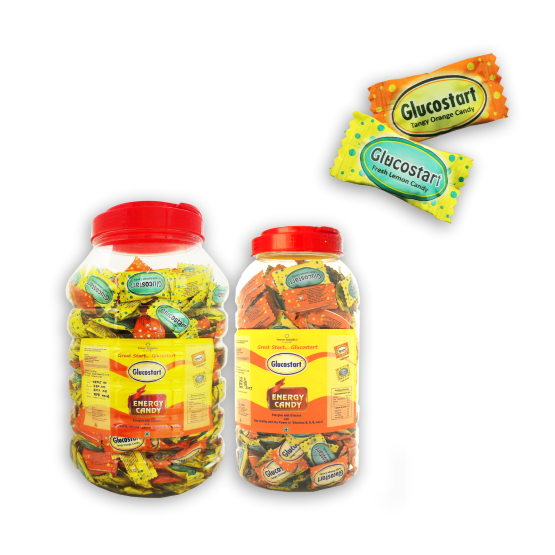 Glucostart is a First Energy Candy that contains Glucose along with Vitamins and acidity regulator. Glucose provides instant energy and Vitamin B2, B6 and B9 and Vitamin C supplements the daily requirements of Vitamins that are necessary for a healthy and Confident Start of the day. 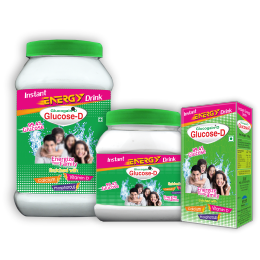 The Glucose in Glucostart provides instant energy whereas the Vitamins keeps you healthy. Vitamins available in Glucostart are the ones that are necessary in our day to day life for slowing aging process, blood purification, energy production, healthy skin & hair, clear vision, immunization, healthy heart, etc. 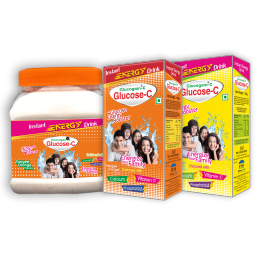 Glucostart is anytime intake energy candy that provides necessary energy in the form of carbohydrates, Riboflavin(Vitamin B2), Pyridoxin(Vitamin B6), Folic Acid(Vitamin B9), Ascorbic Acid(Vitamin C), etc.